Arica Mitchell, Owner of the Song Real Estate Team is ready to meet with you to share our effective marketing plan guaranteed to sell your home. 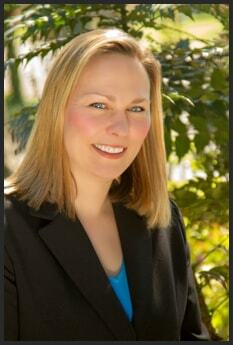 Arica has ranked in the top 1% of Lane County Realtors year after year and is a multi-million dollar producing agent. In 2017, Arica sold 8x’s as many homes as the average agent in Lane County and currently leads one of the largest real estate teams in the area. Arica obtained her Bachelor of Science Degree in Sports Management from York College of Pennsylvania with a Concentration in Marketing. She has held numerous Realtor designations including: GRI (Graduate of Real Estate Institute), SRS (Seller Representative Specialist), SFR (Short Sale and Foreclosure Resource Certificate) and MRP (Military Relocation Professional). Arica has the experience you need in a Realtor, the drive you need in a negotiator and communication skills you need to ensure you receive unparalleled representation. Please have a spare key made and ready for our RMLS lockbox. Please make a list of any important features in your home you feel should be included in our marketing. If your home is going to be vacant and you can leave a little furniture behind, the property tends to show better. Do you have a desired location for your sign that you feel would give us excellent exposure? Copies of any current home inspections such as ground well and septic reports will be helpful. Copies of any receipts for recent repairs over the last 3 years will be helpful. Please read and answer all the questions in our Sellers Property Disclosure and welcome packet prior to meeting with Arica. Be prepared to discuss setting an effective pricing strategy for your house. Arica will provide professional suggestions regarding your house repairs and improvements. Arica has sold hundreds of homes in the Lane, Linn and Benton County areas- no need to make upgrades/ improvements that will not net you a best return on investment. Arica will work with you to develop a plan to get your home listed for the best price possible! Call our team to schedule a meeting with Arica Mitchell, Owner of the Song Real Estate Team today!